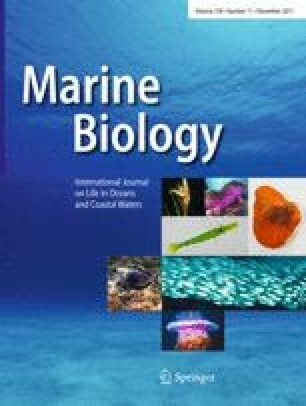 The abundance of New Zealand subantarctic southern right whales (Eubalaena australis) was estimated for the first time using mark-recapture methods based on photo-identification and microsatellite genotyping (13 loci). Individual identification photographs of 383 whales and microsatellite genotypes of 235 whales were collected during annual austral winter field surveys from 1995 to 1998. Given the 4-year survey period and lack of geographic and demographic closure, we estimated super-population abundance using the POPAN Jolly-Seber model implemented in the software programme MARK. Models with constant survivorship but time-varying capture probability and probability of entry into the population were the most suitable due to the survey design. This provided estimates of abundance in 1998 of 908 non-calf whales (95% C.L. = 755, 1,123) for the photo-identification and 910 non-calf whales (95% C.L. = 641, 1,354) for the microsatellite genotype data sets. The current estimate of 900 whales may represent less than 5% of the pre-whaling abundance in New Zealand waters. The online version of this article (doi: 10.1007/s00227-011-1757-9) contains supplementary material, which is available to authorized users. Samples were collected under NZ Department of Conservation (DOC) Marine Mammal Research permit and University of Auckland Animal Ethics Committee approved protocol (to C. S. Baker) in the Auckland Islands. The 1995–1998 Auckland Islands field trips were funded by Whale and Dolphin Conservation Society, the U.S. Department of State (Program for Cooperative US/NZ Antarctic Research), the Auckland University Research Council and the NZ Marsden Fund. Logistic support was given by the Southland DOC Conservancy University of Auckland and the Australian Antarctic Division. We thank the Captain and crew of the ‘Evohe’ for their help and support in the field. Laboratory work was funded by the NZ Marsden Fund, DOC, the Heseltine Trust and an OMV NZ Ltd. Scholarship to EC. EC was supported by a Tertiary Education Commission Top Achiever Scholarship. Thanks to Rochelle Constantine, Jennifer Jackson and two anonymous reviewers who provided helpful comments on an earlier version of the manuscript.